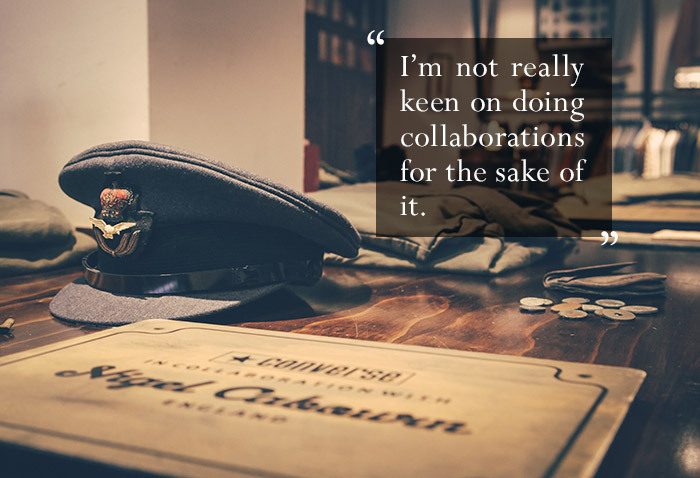 During the madness of the Nigel Cabourn for Converse capsule collection launch party, we had a chat with the man himself about his inspirations for the collection and why he generally avoids collaborations. 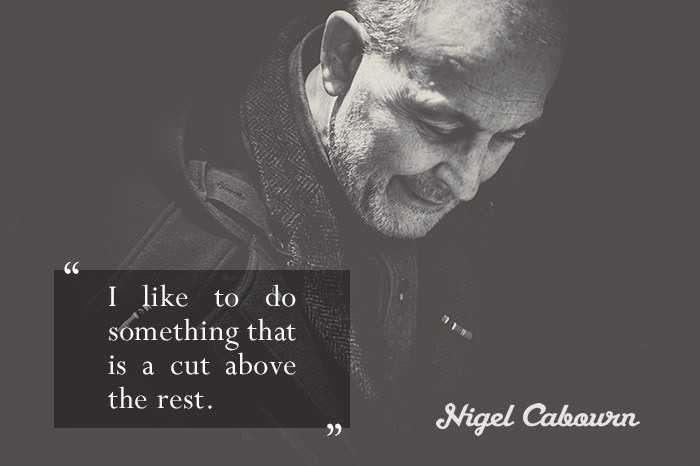 Nigel Cabourn holds almost as much story, myth and mystery as his clothing does. He works from a shed at the bottom of his garden and doesn’t really follow the normal guidelines of how to run a fashion brand. He also has an obsessive lust for looking to the past, pining over eras that he finds fascinating. In an abstract way, you could call him a historian or an archivist, except he keeps the eras alive through replicating certain garments of the time. What is completely clear is that he is a truly fascinating man. His recent collaboration with Converse is one of very few collaborative projects from the Cabourn camp, and there is good reason for that, as Nigel explained to us. His honesty and open nature that comes through in this short but poignant interview is something that is reflected in his collection season after season. When and how did your fascination with heritage clothing first start to develop? Well, I suppose it started from Pop music in the ’60s. I was around with flower power – I was 17 in 1967 – so I would say that that period influenced me heavily as it was the start of the vintage trend. People got thrifty and creative mixing styles from various decades. And the music of course, because I loved the music of that time. As a lover of heritage, what’s your favourite piece of Converse heritage? I really like the Jack Purcell and the ’70s Chuck Taylor – both are timeless classics. You tend to steer clear of collaborations. Is this is a conscious decision? I’m not really keen on doing collaborations for the sake of it. I’ve done one with Red Wing, now I’m doing one with Converse … and I’m going to do one with Viberg. Actually, I also did one with Eddie Bauer! You’ll notice they’re all unique companies with their own history and heritage, so you end up playing with things only they can offer. They have to have a real firmness for me. They have to add something special to what we already do at Cabourn. For you, what is the connection between Converse and the 1940 WWII era that inspired this collection? Should I make this up or tell the truth? (Laughs) I’ve loved Converse since the late 1960s when I was a fashion student but the real inspiration is my interest in Ventile. The connection between Converse and that era is that the Chuck Taylor All Star was around at that time. Not many other brands can say that, but the fabric is key. The original Ventile woven cotton was developed by the Shirley Institute in Manchester for use in the RAF during WWII and I had the idea of using it on a sneaker, as it is something I had never done. We then referenced an older Converse style and married them together. That is the truth. Is there a particular story that inspired this capsule collection at all then or was it simply the style of the era in general? For me the most important thing was that I wanted to use Ventile and the original Ventile L28 more specifically, which was used by the RAF. 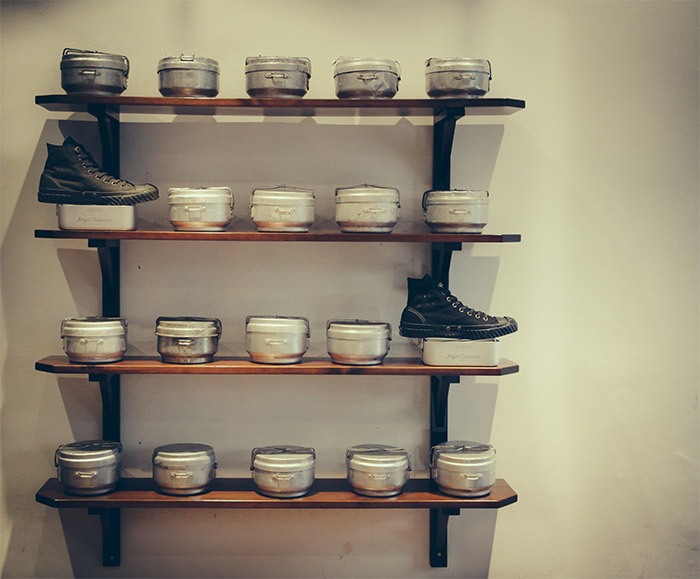 It is the very same material that features heavily in my SP13 collection and I thought that if I could pair that with a more rugged, military-inspired Converse silhouette like the Bosey, it would make a great story and compliment the apparel brilliantly. Stories and referencing the past are evidently very important to you in everything you do. Why do you think this is? There is so much product out there. There is so much boring product … bad product … cheap product saturating the market. Obviously I like to do something that is a cut above the rest. Money isn’t my inspiration you know; it’s heritage, storytelling and the finer details I can use to bring an idea to life. I love England and the rich stories from its past. So they’re all reasons why I still do it. Thanks to the folks at END. and Converse for the party, as well as Nigel for his time and insight.